Professor Joey Manson and visual arts major David Lamm installing Manson’s sculpture. Joey Manson talks about his life and work. Manson spent many years working in New York City for museums, galleries and artists before teaching at Clemson. As part of his senior seminar class, Manson guides students through an intense four-day trip to NYC, exposing them to present and past visual artists. Manson’s sculpture at CU-ICAR is only his latest campus collaboration. He co-teaches the Atelier InSite class focusing on public art on campus, including the installation at the Life Sciences building. His work can be seen outside of Sirrine Hall and inside the Strom Thurmond Institute. Where are the top 3 to 5 places where you’ve had or currently have work? 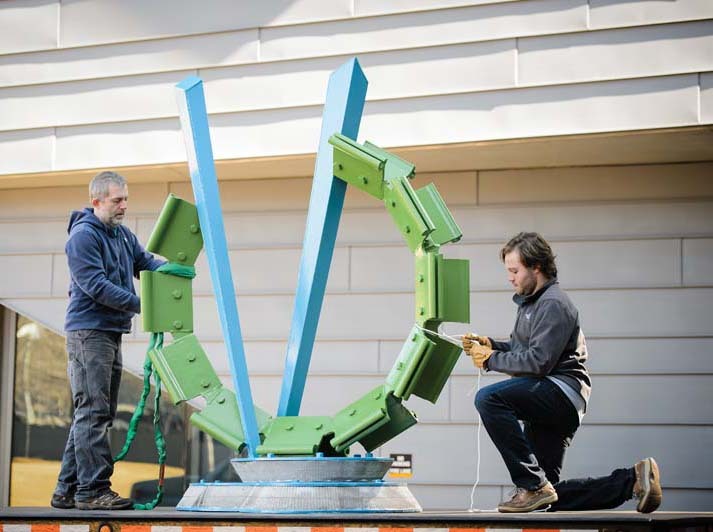 Manson: Chicago is a city that is very supportive of the arts and sculpture in particular. I’ve shown sculptures in six public art exhibitions hosted by Chicago in the last three years. I’ve also shown in Stamford CT, San Angelo TX, and Ames IA, in the past year. Commission work supports my studio practice and I’ve installed permanently sited works in Skokie IL and Chattanooga TN in the past two years. Tell me about the partnership with CU ICAR. What’s the history? Manson: I began a partnership with ICAR with the Art Department’s foundations course which I teach. We sited different cardboard sculptures the foundations students created throughout the interior of ICAR for several years running. We also received a BMW car chassis which we had the foundations class collectively design and paint the exterior of in the spirit of BMW’s well known Art Cars. This chassis was exhibit in front of Lee hall for some time. Will art students be a part of the installation? If so, why is it important for them participate? What will they learn? Manson: There’s at least one student I may ask if the’d like to be involved in the install. Participation in exhibition installations is an important learning experience for students who will be showing their own work as professional artists upon graduation. Tell me about the math, physics, science or engineering elements that play into making/installing the sculpture. Manson: “Early Hatch”began as simple sketches, however to work out specific details final drawing were produced in CAD. The engineering problems involved in building this sculpture are not terribly complex. It is the questions related to the industrial and environmental themes of the sculpture itself and how the viewer relates are more important. Tell me about the sculpture. What inspired you to create it. Why is it significant to the CU ICAR location? Manson: Automotive Technology has a tremendous impact on the environment, my studio efforts looks to both industrial and environmental interests, and I utilize industrial construction methods to create my work. What have you done to promote visual arts and sculpture at Clemson? Manson: Atelier InSite, a creative inquiry course focusing on the implementation of Public Art at Clemson University, is a course I co-teach with Dave Detrich and Denise Detrich. This course is about promoting visual arts within our community at Clemson. Valerie Pezzullo had two things to celebrate this spring: She received her master’s degree in mechanical engineering and took first place in MTConnect Challenge 2, a contest to develop innovative and unique software applications for manufacturing. Pezzullo’s software application detects vibrations in metal-cutting machines so that corrections can be made before parts are damaged. The application is expected to help manufacturers that rely on computer-controlled machines to make highly precise parts for a variety of industries, ranging from automotive to aerospace. It could have an especially large impact on manufacturers that use high-value materials. Regenerative vibration, or “chatter,” can ruin parts that cost as much as $20,000 each in raw materials alone. By the time the vibrations are audible, it’s too late because the part already may be damaged. 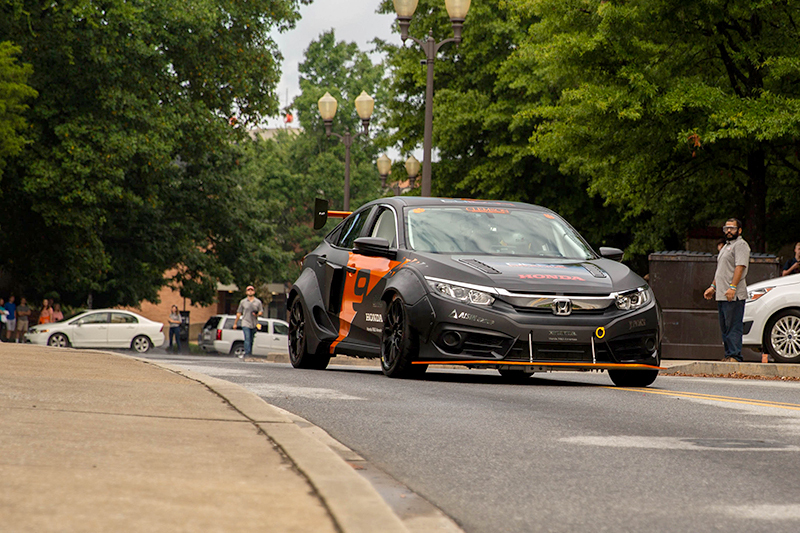 Pezzullo’s application was part of her thesis and an offshoot of previous research done by her adviser, Laine Mears, associate professor of automotive engineering. And the $100,000 prize? Pezzullo has said she will pay off her student loans and establish a scholarship for female students studying engineering. Pezzullo did her research at the Clemson University-International Center for Automotive Research (CU-ICAR) and worked on machines provided by Okuma America Corp., a Charlotte subsidiary of Okuma Corporate. 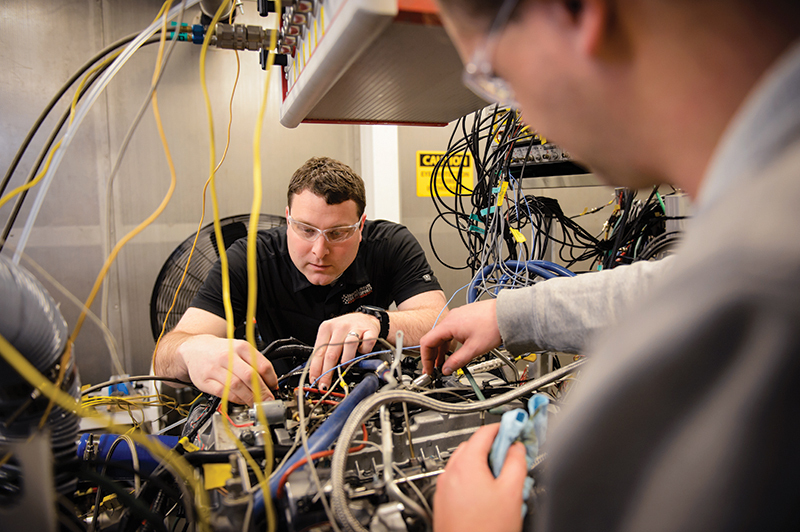 The contest was sponsored by the National Center for Defense Manufacturing and Machining (NCDMM), the Office of the Secretary of Defense (OSD), Defense-wide Manufacturing Science and Technology (DMS&T), AMT – The Association For Manufacturing Technology and the U.S. Army Benét Labs.